Analysis: Johnson was able to clear the league's concussion protocol heading into Sunday's tilt, so he'll be ready to make the start at defensive end across from Carlos Dunlap. Analysis: Johnson suffered his injury in last week's game against the Chargers and has yet to fully clear the concussion protocol. Jordan Willis should see an increased role at defensive end should Johnson be unable to gain clearance. Analysis: Johnson will likely have to clear the league's concussion protocol before playing again. The Georgia Tech product dealt with a pectoral injury going into Week 14, but was able to play without an injury designation. The rest of the week should come with answers to Johnson's status, but if he can't play, Jordan Willis would likely pick up any slack Sunday against the Raiders. Analysis: Johnson began the play by missing a sack on the Dolphins' Ryan Tannehill, but as Tannehill tried to throw the ball away it deflected off of a teammate and back to Johnson, who was behind Tannehill at the time. Johnson caught it and took it back for a touchdown, one that helped the Bengals tie the game at 17 in the fourth quarter. Analysis: Johnson originally suffered the knee injury in Week 2 and was inactive for Week 3 against the Panthers. He was limited in every practice leading up to Week 3 and finally logged a full day of practice Thursday. The former Georgia Tech standout should be good to go for Week 4. Johnson (knee) is listed as inactive Sunday against the Panthers. Analysis: Johnson was limited in practice all week but won't end up playing despite the extended break following a Thursday game Week 2. When Johnson exited last week's matchup against the Ravens, rookie Sam Hubbard saw the largest uptick in snaps, which will likely be the case again Sunday. Johnson (knee) is listed as questionable for Sunday's game against the Panthers. Analysis: Johnson left the game Week 2 with a left knee injury and was expected to be out for a few weeks. It appears Johnson has recovered quicker than expected, considering there's a chance he plays Sunday. The team will likely proceed with caution even if Johnson does suit up. Johnson recovering from his left knee injury faster than anticipated, Geoff Hobson of the Bengals' official site reports. Analysis: Johnson exited the Bengals' Week 2 matchup with a knee sprain and was projected to miss a couple weeks as a result, but that timetable may have been expedited. The 31-year-old logged a limited participation in practice Wednesday, which may keep the door open a sliver for him to play Sunday at Carolina. He would likely need to put in a full practice Thursday or Friday to bolster his case for an active status. Johnson (knee) is expected to be out a few weeks, Ian Rapoport of NFL Network reports. Analysis: Johnson sustained the injury during Thursday's game against the Ravens and left the contest after playing only four snaps. The injury is believed to be a sprained left MCL, Katherine Terrell of ESPN.com reports. Jordan Willis and Sam Hubbard should see increased workloads in his absence. 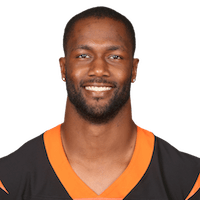 Johnson has a left knee injury and has been declared out for the remainder of the Bengals' Thursday night game against the Ravens, Paul Dehner Jr. of The Cincinnati Enquirer reports. 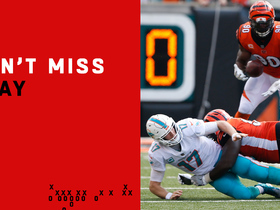 Analysis: Fortunately for the Bengals, they are deep at defensive end, but this does hurt their pass rush. Jordan Willis will get more snaps as a result. Johnson re-signed with the Bengals on Sunday, Paul Dehner Jr. of The Cincinnati Enquirer reports. 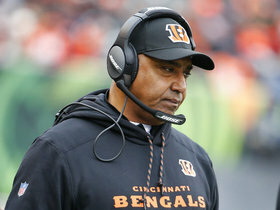 Analysis: Johnson was temporarily let go from the organization in a move that allowed Cincinnati to avoid exposing some of it's younger talent to the waiver system. Now back in the fold, Johnson is right back in the mix for snaps at defensive end opposite Carlos Dunlap. Johnson was released by the Bengals on Saturday, Katherine Terrell of ESPN.com reports. Analysis: The 31-year-old defensive end has a strong reputation for defending the run, but he hasn't recorded more than five sacks in a season since 2012. It's no surprise to see the Bengals going with younger, cheaper options in Carl Lawson and Sam Hubbard, given that they just handed DT Geno Atkins and DE Carlos Dunlap hefty extensions. With 104 NFL starts to his name, Johnson shouldn't have much trouble finding another job, and he might even re-sign with the Bengals at a lower price. Johnson recorded six tackles (four solo) and two sacks Sunday against the Bears. Analysis: Johnson logged 56 of 76 defensive snaps Sunday, the most of any Bengals' defensive linemen. He'll have a tough time accruing more sacks in Week 15 against the Vikings, since QB Case Keenum is second in the league with a sack on just 3.58 percent of his dropbacks. Johnson (back) is listed as active for Monday's game against the Steelers, Jay Morrison of the Dayton Daily News reports. Analysis: Johnson was considered questionable to play due to a minor back injury that's been nagging him since late October. Now that he's cleared to play, the Bengals will enter Monday's game with all of their usual starters along the defensive line. Johnson is listed as questionable for Monday's game against the Steelers with a back injury. Analysis: Johnson was a new addition to the injury report this week and seems to be trending in the wrong direction since he was unable to practice Saturday. There's no clear indication at this point whether the 30-year-old is likely to play, and Jordan Willis and Chris Smith would likely step in at defensive end if Johnson cannot suit up for Week 13. Johnson (illness) put in a full practice Thursday, Paul Dehner Jr. of The Cincinnati Enquirer reports. Analysis: The illness resulted in Johnson being limited at Wednesday's practice, but now that he's put in a full session this week, it doesn't appear the defensive end is any danger of missing Sunday's game against the Broncos. The veteran has tallied 21 tackles and three sacks in eight games this season. 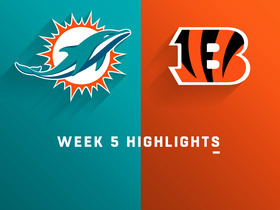 Johnson (back) is listed as active for Sunday's game against the Jaguars, Paul Dehner Jr. of The Cincinnati Enquirer reports. Analysis: Although Johnson will be available, he just sustained this injury in Week 8, so his snap counts could become limited if he experiences any pain. Johnson will return to his starting defensive end role, though, where he has compiled 16 tackles (13 solo) and three sacks through six games this season. Johnson (back) is listed as questionable for Sunday's game against the Jaguars. Analysis: Johnson was limited in practice Thursday and Friday due to the injury, which he sustained in the Week 8 win over the Colts. The 30-year-old has compiled 16 tackles and three sacks over six appearances on the season. 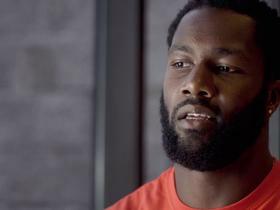 Listen to the story of how Bengals defensive end Michael Johnson has worked to develop a relationship between the Cincinnati police and the children in the community. Cincinnati Bengals defensive end Michael Johnson brings students and law enforcement together for a conversation. 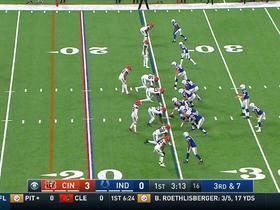 Indianapolis Colts quarterback Andrew Luck rushes 7 yards for a first down. 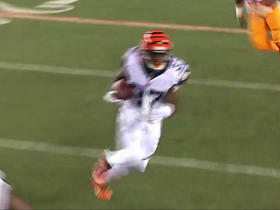 Cinncinati Bengals safety Shawn Williams is ejected for his hit after the play. 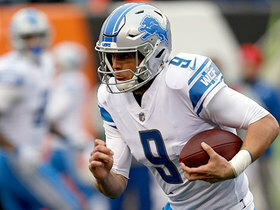 Detroit Lions QB Matthew Stafford rushes to the right for 7 yards and the first down. 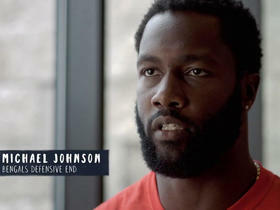 Bengals defensive end Michael Johnson talks about head coach Marvin Lewis and how he helps develop players on and off the field. 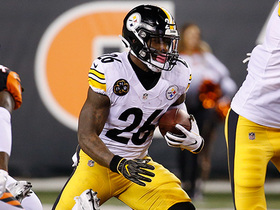 Pittsburgh Steelers running back Le'Veon Bell explodes for his first 10+ yard rush of the game. 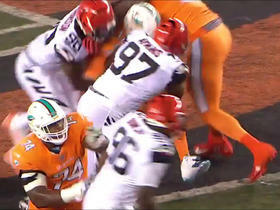 Miami Dolphins QB Ryan Tannehill is sacked by Cincinnati Bengals defensive tackle Geno Atkins for a loss of 9 yards.